we are sorry but we have no information about this computer. 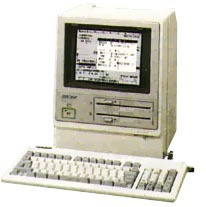 It is a computer especially designed for Japan and it was never distributed elsewhere. It display japanese characters and is dedicated for word processing. If you have more info, please email us. see more Sharp WD 2000 Ebay auctions !